Driving rain, sun and heat, and a few more snow flurries - we've seen them all in recent weeks. 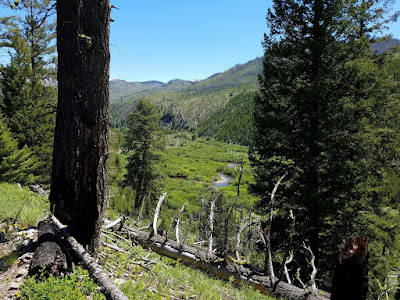 It even seems the snowpack at the Rattlesnake Wilderness boundary before reaching Stuart Peak hasn't melted back, with photo after photo showing it on the trail just beyond the sign. Surely someone must have made it up to the top by now, we've all thought. And I've heard that maybe one or two had, but still now photos. At last, here you have it - a photo from this week, from the top of Stuart, courtesy of John Fiore. 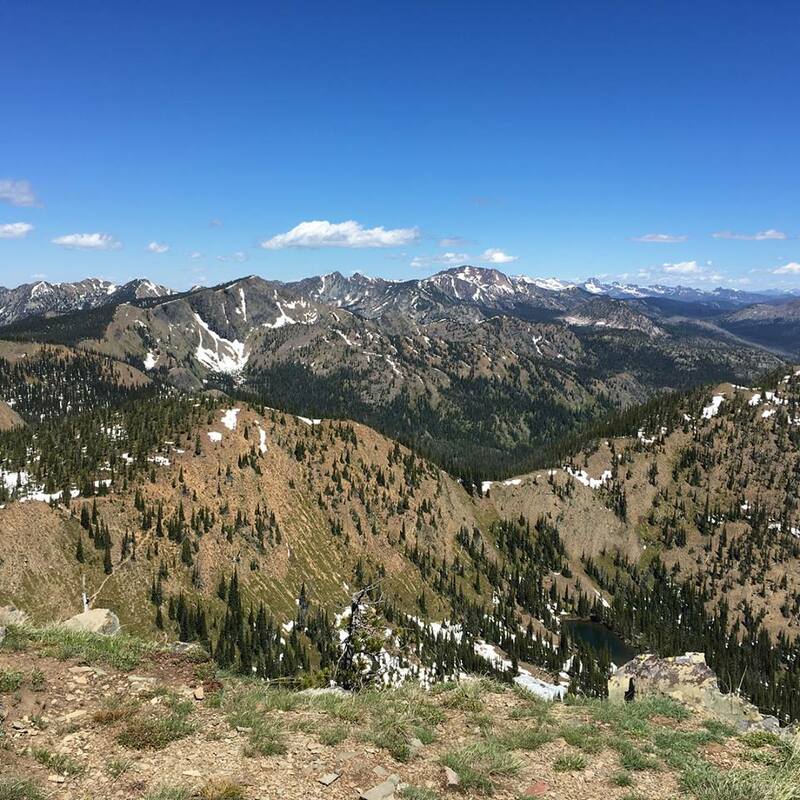 The snow hasn't completely melted, though - there's still some at the Twin Lakes overlook. 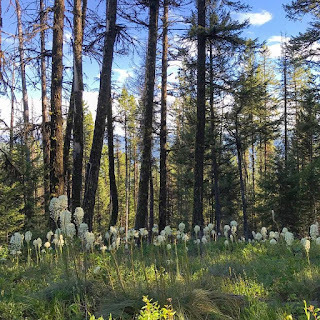 Speaking of the Rattlesnake, the beargrass is blooming there, and Ethan Richards found a nice patch this week on the way up to Sheep Mountain, in the national recreation area. 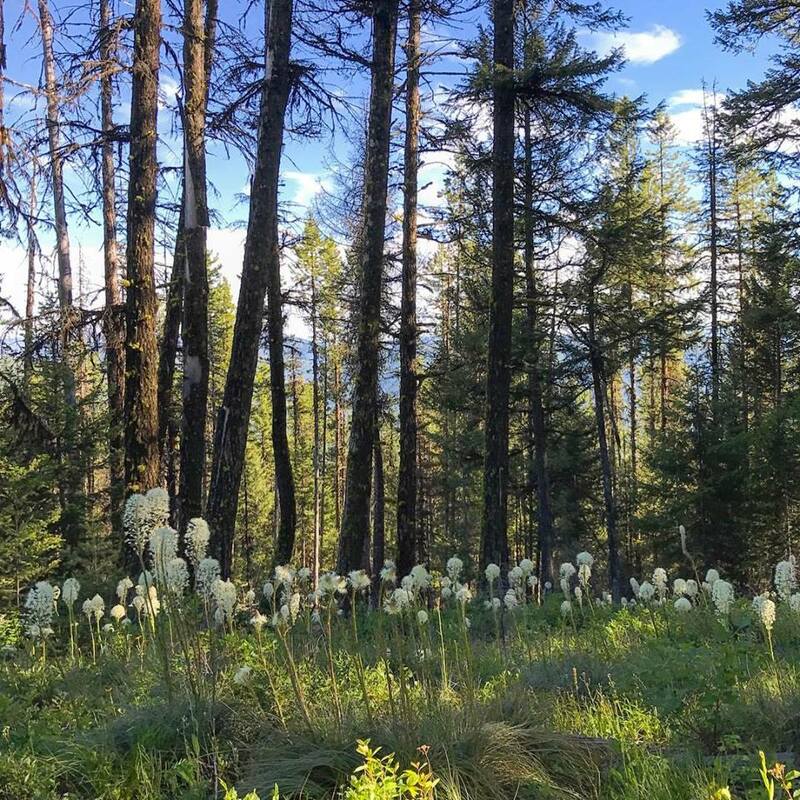 Forrest and Sarah Boughner recently made their way up Old Baldy, the high point of the Big Snowy Mountains south of Lewiston. Over on his blog, Forrest writes that there's still some debate about which is higher, Old Baldy or Greathouse Peak - so the did both on the same outing just to be safe. Read more here. Jess Zephyrs and Dan Stone recently ran a long loop in the North Fork of the Blackfoot drainage in the Scapegoat Wilderness, finding numerous stream crossings and plenty of deadfall, but also some nice views. And grizzly tracks. Have a Montana running photo you'd like to share with Trail Shots? Post it to the Montana Trail Crew Facebook page or find me on a variety of social media.